Lots of ‘Back to School’ emails. I know. However I’ll get back to some more post 18 messages later this week. put them in a shiny little fr-ee e-book for you (let me know if that interests you). (as that’s unfair to those who took action and bought over the weekend) – but will be a good deal nonetheless. desk was a visual to remind him. When he would start in on movie trivia, he and his teacher had a signal that meant he must stop. OK – That’s all for today’s little update. Please email me back with any questions, or if anything unclear. The Individualized Education Plan is an important part of getting your child what they deserve to prosper at school. In this article I’ll share 6 things NOT to do for your child’s IEP. on completing IEP’s (if they run in your area). Also consult other professionals involved in your child’s care (e.g. therapist) for their input. that the school will take most notice of. It outlines exactly what is going to be done – and who is responsible for it. about it, and take other advice if needed. You are well within your rights to do this – don’t be rushed! 4. Don’t be short of ideas – Visit other schools, talk to parents, attend work shops, and meet with professionals in order to get an idea of what may be helpful for your child. unlucky – this is nothing personal against you and your child, just a fact of life. So try to see the meeting from their viewpoint as well, to keep things more logical and less emotional. IEP makes it a powerful weapon in ensuring your child’s educational needs are met. Take these tips and use them wisely young Jedi. The IEP is a mighty light sabre when yielded for good! Seriously – random Star Wars joke aside – this is important stuff to get right. Your child deserves the best from school, and this is one big way to help them get it. • WARNING – One thing you should never do at an IEP meeting. Most parents make this big mistake. Don’t be one of them. • IEP Vs 504 – Know your rights . . .
(It’s currently available for the next 60 minutes at $50 discount). Get to class at the right time . . . Find the right room . . . Remember the right books . . . Take down the right notes . . . Understand the teacher’s instructions . . . Take note of the homework . . . Understand what the heck the homework is about . . . Seriously . . . This is what needs done every school day. It’s a heck of a LOT! So how to help your child? Each task needs looking at individually. No point trying ‘general’ skill building. Too many different scenarios to apply things to. Start with the most important problem. or misplaced work. Allow plenty of time to show solid improvement before moving to the next problem area. 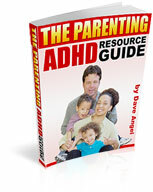 You CAN help your child become better organized at school, just takes times. • “59 Frequently Answered Questions on Schooling & ASD” (eBook) – This 143 page resource is packed with proven tips, tricks & techniques to deal with your child’s school. • “Teach the Teachers about Asperger’s (eBook)” – A simple 2 step system – gives your child’s teacher a GOOD understanding of your child’s needs (takes less than 60 minutes to use). • “How To Outwit, Outsmart and Outmaneuver the Bullies” (eBook) – A 29 page resource which contains over 72 practical tips and solutions to bullying problems. • “Homework Help Guide” (eBook) – Inside this 39 page guide you’ll discover proven tips, tricks & techniques to take (most) of the unnecessary pain out of homework. • Asperger’s Education Program (eBook) – This monster resource has 198 pages of expert information on school meltdowns, IEP’s, anxiety, school refusal, tests, friendships and more. Several times in the past 2 days I’ve talked about honesty in school. One of the double edged swords of Asperger’s. It’s a great trait in general . However in the world we live in; unadulterated, unfiltered honesty can make you unpopular in certain situations. Rightly or wrongly white lies and partial honesty are part of daily discussion. So how to help your child avoid this trap? A popular TV show. A’ fun’ way to learn. Something you can do naturally as part of your day. Just a great approach to teaching such an important skill. school chances . . . we’ve got 5 resources covering all sorts of tips, tricks and techniques to make the school experience run smoother. • “59 Frequently Answered Questions on Schooling & ASD” (eBook) – This 143 page resource is packed with ideas to deal with your child’s school. • “Teach the Teachers about Asperger’s (eBook)” – A simple 2 step system – gives your child’s teacher a GOOD understanding of your child’s needs (takes less than 1 hr).
. The offer ends midnight tonight, Sunday 30th July, EST (less than 10 hours time). A worried grandparent emailed in. His grandson keeps getting sent out of class for being “disruptive”. Seems he’s viewed as a “know it all” and can be very loud. Grandpa says the boy doesn’t really see it, he wondered what can be done? Like many of the problems I’ve covered, it’s all about the pre-work. Once your child’s labeled ‘naughty’, ‘rude’ or ‘disruptive’ they’re marked. You know that old saying “First impressions count”? Scientific research supports this (e.g. a study last year at Cornell University by Zapas et al found how hard it is for people to change their first impressions). So you need to get in there with the school EARLY. Explain your child’s needs. Their strengths. Their challenges. • If they really struggle controlling their voice volume – tell the teacher, and explain why. • If they’re liable to be brutally honest (yet mean no offense by it) inform the school. So they can view your child’s response in this light – rather than just a “rude kid”. • If they struggle to cope in a busy class and then react with loud tears. The teacher needs to know this. Otherwise your child will be (unfairly) called a “brat”. Even go a step further and get it documented. Raise it at the start of the year. At IEP meetings. Keep it on the school staff’s agenda. That way they are much more likely to act supportively. And if they don’t . . . with a paper trail of emails, documents, letters etc. provided to the school. You are much better equipped if you have to take assertive (maybe even legal) action. This is a great thing to do NOW at the start of the school year. (but fair warning the current $50 discount ends in less than 12 hours – midnight EST tonight Sunday). OK. This is one of the most frequent topics I get asked about – morning hygiene routine. A lot of this is sensory based. of trial ‘n’ error (search internet groups to speed up the process by reading solutions other parents have found.). Will bribery work? Nothing outrageous. But increased internet access for speedier and more effective morning routine, seems pretty win-win to me. Clothing. Annoying tags or tight fitting clothes can often be a no no. Go for plainer, no tags and baggier clothes for ease. Get to the bottom of even just the sensory issues and you’re on the road to a smoother morning. May take a little time and persistence though. testing. For your child to go through it. And for you too. Preparing them, watching them go through it, and trying to pick up the pieces afterwards. So what’s it really like for a child with ASD at Middle School? It starts with her own definition of Asperger’s. She says she’s pretty much like most other people . . .
All about anxiety for her, and the negative emotions it brings. * Loud and crowded classrooms. * Being teased by others (particularly when she would burst out crying frequently, based on one frustration or other). * Getting in trouble for doodling (something which helps her de-stress when over-whelmed). * Understanding social cue and emotions of others. Most probably familiar. One stand out issue for me is the ‘doodling’. Yep it’s not always appropriate. Time for work, time for play. Plus defacing school work is against school rules. But this is her de-stressor (specifically she mentions how it works better than having her own space to go to in times of stress). So why, the heck, not incorporate it somehow? can tell what I’ve been through, and maybe help me to make friends better. With smaller classrooms, and teachers who can help me when I cry, and not embarrass me”. This girl wrote the essay for her IEP meeting, so hopefully things got changed for her. But just shows what challenges lie out there for kids with ASD in school. ‘Tis a big step for all children to head to middle school. Throw in Asperger’s it’s even more daunting (for you and your child). First of all it’s change, which is never good. New teacher, new classmates, new building, new classroom, new books, new schedule, new rules… etc. Not to mention higher expectations and a faster pace of life. It’s no wonder your child (and you) are anxious. What can you do to lessen the trauma? * Tour the new school (outside normal school times) – take photos and video. * Role play likely first day scenarios (e.g. meeting new kids, what to do at recess, how to address the teacher). * Meet school teachers beforehand and give them details of your child’s strengths & needs. confidence. And if you’d like more tips for helping your child survive school – don’t forget our Back to School Parents Q&A. fr-ee mini-course where you’ll find tips on: organizational skills, making friends, homework, high school, bullies and more. You may have read my message earlier . . .
About a mom who was fearful about her son who was staying up all night, and refusing school in the morning. She’s right to worry. Unchecked this can easily escalate into adulthood . . . Your child’s physically grown up, yet still living at home and dependent on you for everything. * For the past 7 years (since school) he has done “absolutely nothing” with his life. * He’s online virtually all night – then sleeps all day. * She’s terrified what will happen when she and his dad are no longer around to care for him. * She and her husband have not had a vacation in 10 years (their son won’t come – and they can’t leave him home alone). A really sad state of affairs. But you can see how it happens. comforting and dependable. Not like the unpredictable outside world. of (totally valid) reasons, however left unchecked it rarely gets better. Can lead to a life of real unfulfillment as an adult. Not to mention the impact on your life as a parent for the years ahead. So if you need some help when it comes to schooling, to stop this chain of events, don’t worry. We’ve got this covered in the new Parents Q&A Mini-Course. It’s totally fr-ee and answers a whole host of school questions on bullying, organizational skills, middle school, making friends, homework, high school and more. Online all night. Refusing to go to school. Matters have come to a head over time. Lots of problems to unpick. Mom mentions 3 … Work … Uniform … Peers. All pretty tough on their own. Stacked on one another even worse. 3 lots of problems = 3 x the stress, anxiety and worry. No wonder he’s off school. Retreating to a safe world of late nights online and day time sleeping. The key is to look at partial school return. An hour a day at first. Slowly increasing. If necessary the internet goes off at a certain hour to allow enough sleep. Likely to cause big outbursts initially – should reduce with time. Left to his own devices he’s likely to be living this (non) life for years to come. Before you know it he’s no longer 16 and refusing school. He’s 26 and refusing to engage with the outside world. The classic stereotype – living in parent’s basement, no job, no outside contact, living a life of sleep all day and internet all night. So whilst this needs to be done sensitively – the barriers need to be put in place. The plans drawn up together . . . for a phased and slow return to school. (And of course you need school fully on board and signed up too – which is another topic altogether).